Notes: Crank Station was part of what became the St. Helens to Ormskirk via Rainford Junction line. The route was effectively made up of two different lines that opened within a month of each other. Crank was situated on the St. Helens to Rainford Junction line which was opened by The St. Helens Railway on 1.2.1858. The other part of the line ran from Rainford Junction to Ormskirk and was opened by the East Lancashire Railway. At the time of opening new stations where provided at St. Helens (3rd), Gerards Bridge, Moss Bank, Rainford and Rainford Junction. A few months later the railway company decided to add another two experimental stops to see if they were viable. One of these was Crank, the other was Rookery. Crank Station was situated on the east side of Crank Road which crossed the line by means of a level crossing. The line was double track and so the station was provided with two platforms each of which had a simple wooden waiting structure built by a local contractor. 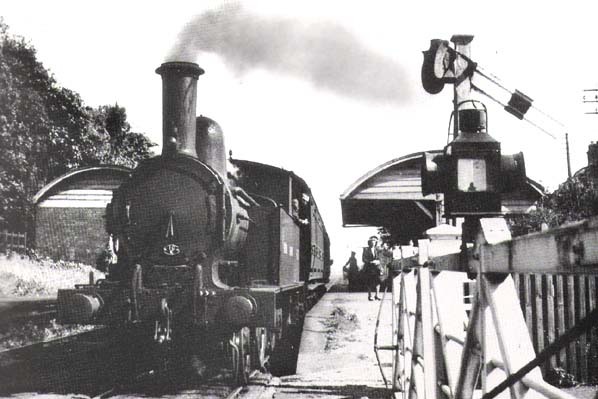 At the time of opening the station was served by four trains each way per day which ran from St. Helens to Rainford Junction where the St. Helens Railway had its own platform. The St. Helens to Rainford Junction section of the line became part of the LNWR on 4.8.1864 and by 1904 they were operating 8 trains in each direction. In 1923 the entire route from St. Helens to Ormskirk became part of the LMS which brought it under the direction of one company for the first time. This did not alter the pattern of services though they remained as they always had with St. Helens line services terminating at Rainford Junction. Passengers wishing to travel on towards Ormskirk had to change at Rainford Junction. On the 9.9.1940 Crank became an unstaffed halt. Traffic levels on the line had declined and by 1951 only three workman's trains operated at morning and afternoon rush hour in each direction. Despite protests regular passenger services ceased on 16.6.1951. The line remained in use for goods services and for passenger excursions and diversions up until 6.7.1964. Today the site of Crank Station is hidden from the road by extensive vegetation growth. 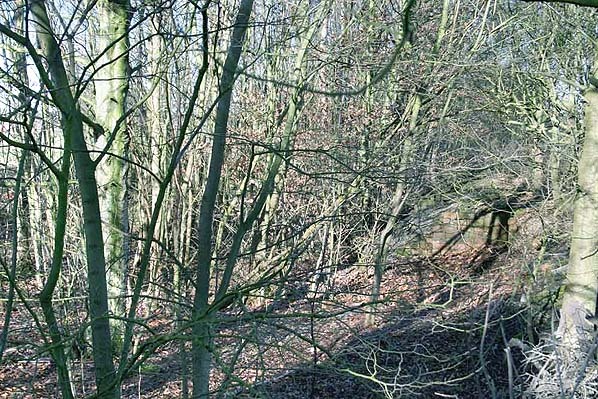 The trackbed can be traced only on the west (Rainford) side of the former level crossing over Crank Road. The remains of a brick structure can be seen between trees on the west side of Crank Road. Crank station shown on a 6-inch scale map from 1892. The proximity of the station to Crank Hall is clearly demonstrated. Crank station shown on a 25-inch scale map from 1892. Little changed at Crank station over the years as demonstrated by this 25-inch map from 1925.